Description: Latex Tubing: 3/16" (ID) / 5/16" (OD)/ Ft. Sold by the foot. Description: Glass Tubing: 1 ft long. 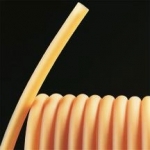 Rubber Tubing, Amber Natural Rubber, Laytex 1/8"ID / 3/32" (5/16") OD/ Ft. 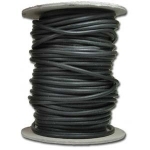 Description: Tubing, Amber Natural Rubber, Laytex 1/8"ID / 3/32" (5/16") OD/ Ft.